Rene Lalique Finger Bowl Pissenlit: A re-offer from August 24, 2018. Now Lot 2788 Est: €420 - €630. 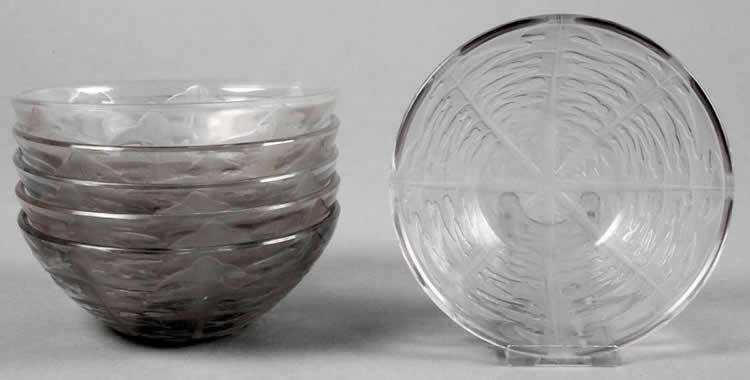 A set of six 13 cm wide clear and frosted radiating dandelion leaves decorated R. Lalique Finger Bowls. Lot No. 3178 Starting Price: €600.